The bank’s private-sector lending arm, the International Finance Corporation, may invest about $1.3 billion in power projects and electricity distribution companies. Its political risk insurer, the Multilateral Investment Guarantee Agency, could provide equity and debt of $1.4 billion for gas and solar power programs, according to Power, Works and Housing Minister Babatunde Fashola. That’s in addition to loans of $2.5 billion Nigeria is seeking from the lender to help improve the distribution of power, expand transmission capacity and increase access to electricity in rural areas, Fashola, 53, said. “Disbursements with the World Bank are being worked out to start from around June, July this year,” Fashola said in an interview from his office in the capital, Abuja on May 4. Nigeria is asking the lender to bring forward the timetables “because next year we want to see results,” he said. Africa’s most populous nation produces about 4,000 megawatts of power compared with an average peak generation of about 35,000 megawatts in South Africa, with a population that’s less than a third of the size of Nigeria’s 180 million people. The lack of supply increases production costs for many businesses forced to provide their own electricity, mostly using diesel-run generators. The Nigerian economy shrank 1.5 percent last year, the first full-year contraction since 1991 because of a fall in oil prices and production and dollar shortages. Gross domestic product could expand 0.8 percent this year and 1.9 percent in 2018, according to the International Monetary Fund. Fashola, who presided over several infrastructure projects in Nigeria’s commercial hub of Lagos as its governor, was appointed last year by Buhari to boost the power industry, one of the biggest impediments to growth in the country. Power generation and distribution companies are facing cash-flow difficulties, partly because of foreign-exchange losses, outages due to technical faults and the theft of electricity by some users, according to Fashola. In 2016, power distributors paid only 27 percent of the 331 billion naira ($1 billion) that generating companies invoiced, according to the National Bureau of Statistics. Buhari last month introduced an economic plan that proposes cost-reflective electricity tariffs, partly to attract investment in the sector and help the economy recover. Power distributors should fix meters to measure what they receive from generators and what they sell to users, Fashola said. The Nigerian Electricity Regulatory Commission should simplify the price-setting formula and work with the central bank to protect the tariff from exchange-rate fluctuations, he said. Nigeria’s currency lost about a third of its value against the greenback after the central bank removed a 197-199 naira to dollar peg in June. The regulator continued to intervene in the market to keep the naira at about 315 per dollar, which helped to create a thriving black market where foreign currency cost about 30 percent more. Electricity tariffs were fixed before the naira was allowed to devalue. The national grid can currently only transmit about 6,200 megawatts, with projects in the pipeline to expand that capacity to 10,000 megawatts by 2019, Fashola said. 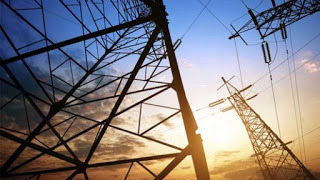 The World Bank said in a statement last month Nigeria’s power sector is characterised by poor service and lack of liquidity which causes macroeconomic imbalances and a binding constraint to economic recovery. The lender will support the government’s power sector recovery plan, according to the statement.